EFSA is a European agency funded by the European Union that operates independently of the European legislative and executive institutions (Commission, Council, Parliament) and EU Member States. It was set up in 2002 following a series of food crises in the late 1990s to be a source of scientific advice and communication on risks associated with the food chain. The agency was legally established by the EU under the General Food Law - Regulation 178/2002. The General Food Law created a European food safety system in which responsibility for risk assessment (science) and for risk management (policy) are kept separate. 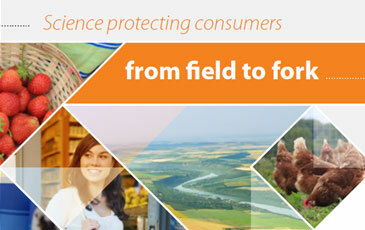 EFSA is responsible for the former area, and also has a duty to communicate its scientific findings to the public. 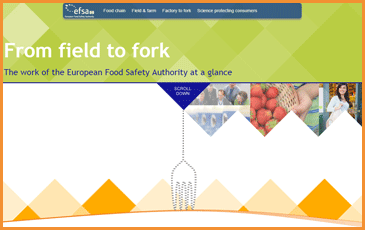 EFSA is working to keep food safe. Thanks to this system, European consumers are among the best protected and best informed in the world as regards risks in the food chain. We also consider, through environmental risk assessments, the possible impact of the food chain on the biodiversity of plant and animal habitats. Since it was set up, EFSA has delivered scientific advice on a wide range of issues such as Bovine Spongiform Encephalopathy (BSE), Salmonella, food additives such as aspartame, allergenic food ingredients, genetically modified organisms, pesticides, and animal health issues such as avian influenza. We also play an important role in collecting and analysing data to ensure that European risk assessment is supported by the most comprehensive scientific information available. It does this in cooperation with EU Member States. Communicating on risks associated with the food chain is another key part of our mandate. This means providing appropriate, accurate and timely information on food safety issues to raise awareness and explain the implications of our scientific work. Scientific results cannot always be easily converted into simple guidelines and advice that non-scientists can understand. One of EFSA’s tasks, therefore, is to communicate clearly not only to its principal partners and stakeholders but also to the public at large, to help bridge the gap between science and the consumer. Infographic: Risk assessment vs Risk management - what's the difference?